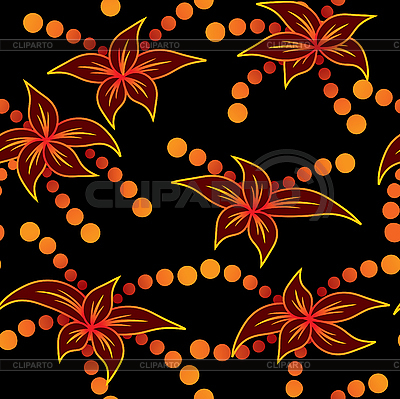 Abstract flame-flowers background. Seamless pattern. Vector illustration.